The lumber conveyor chain is used for forest industries. This is manufactured by Chinabase company. The chain involved 81X, 81XH, 81XHH and 3939-B series. Customization is available for the chain's based on the drawing and the specification of the customer. The conveyor chains are suitable for the applications involving lumber conveyor, car parking, heat treatment, metallurgy, food and beverage, palm oil, forest industry and many more. 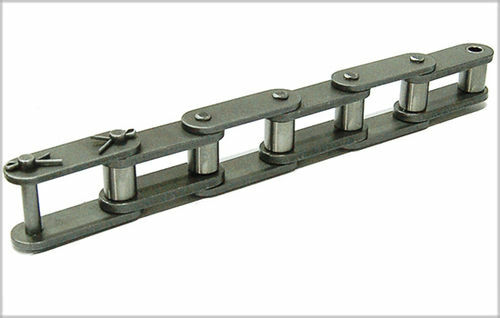 There are five chains in the M series of conveyor chains. They have the roller dimensions of 15.5x25x30 mm, 15x30x36 mm, 18x3642 mm, 21x42x50 mm and 25x50x60 mm. Their plate dimensions are 18x 2.5 mm, 20x3 mm, 25x3.5 mm, 30x4 mm and 35x5 mm.